Traffic Tickets Cost You Money! The officer who wrote your ticket may have told you to go online and pay your traffic citation. PLEASE read the reasons why you should not do that until you have spoken to a qualified traffic defense attorney. You can call us free toll free at 1-866-276-1917, local callers (828)254-9505, or contact us HERE If we cannot help you, we will gladly tell you. Insurance increases start at 25% more for the next three years. You can’t afford not to make the free call. North Carolina has a point system used for insurance rate computation. 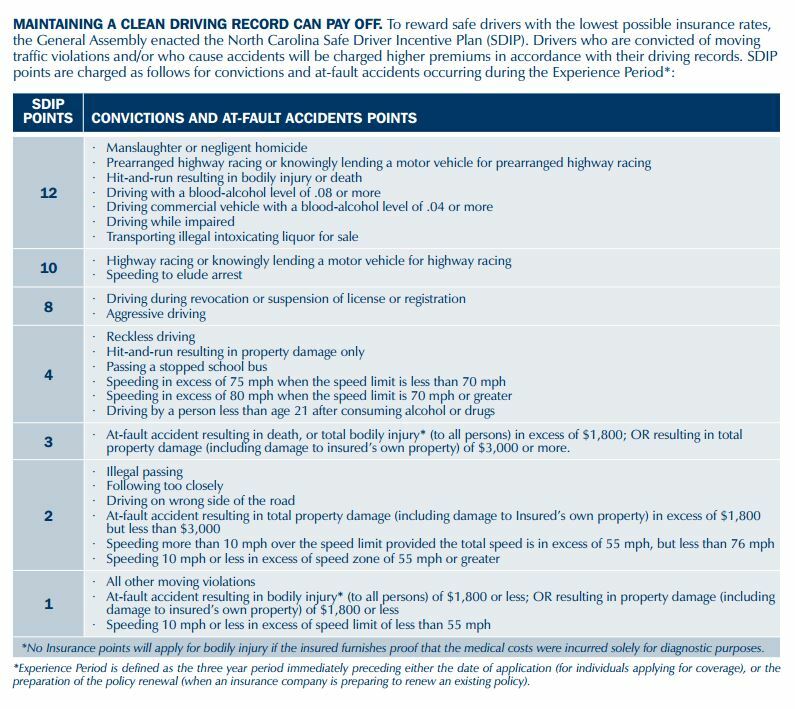 Most moving violations have a certain number of points assessed, and the insurance company then sets and later increases rates based on those points. When you pay your ticket online, you are pleading guilty as charged, without the opportunity to discuss the case with the district attorney, ask for mercy based on your good record, or take advantage of any of the programs the district attorney may have in place to assist you. And, when it is time for your insurance to renew, you pay for it again with higher rates. North Carolina has some of the most draconian laws on the books for drivers of any state. In North Carolina, speeding as little as 16 mph over the speed limit (and over 55) results in a suspension of your drivers license. Speeding 80 mph or more also can result in a license revocation, even with a perfect driving record. Paying your ticket online, (or mailing in payment, for that matter) means you are pleading guilty as charged. In court, while it may be easy for the officer to prove you were speeding, it may be difficult for the state to prove the exact speed. There may also be other, lesser charges that could be substituted for what the officer charged you with, and this could save you license points, revocations, and insurance costs. On traffic matters, you do not have to go to court yourself to take advantage of these programs- The Curtis Sluder Law Firm, pc, can go to court on your behalf, and get a better resolution to your traffic matter for you. The District Attorney cannot give you legal advice. While most of our Elected District Attorneys and their assistants are good people and may want to be helpful, Legal and Ethical rules prevent the District Attorney from giving legal advice. The District Attorney’s Office prosecutes all criminal actions. The District Attorney cannot prosecute and defend the same action. Also, they do not deal with insurance companies and the Department of Motor Vehicles on a regular basis, so they will often not know what is best for you anyway. The district attorneys regularly ask US for legal opinions on insurance and DMV matters. The Curtis Sluder Law Firm handles criminal and traffic defense on a daily basis- we know what questions to ask you, how to read the citation codes to find out what the officer documented, and what goals are best pursued in your individual case. With The Curtis Sluder Law Firm’s representation, you will usually not need to go to court. We will need to review the basics of your case, of course, but for most traffic cases, we can attend court and negotiate on your behalf, without your physical presence. This saves you travel to the courthouse, time waiting in line or waiting in the courtroom, worry and stress over your ticket, your insurance, and your license. Frequently, more than one court date is necessary in order to fully investigate the case and get the best deal possible. Since we are in court every day, it is usually not a big deal for us to continue your court date in order to speak to certain people about the case, investigate facts and prosecution weaknesses, and get to the best resolution possible. For the average defendant, it is a big burden to have to miss work or school one time, much less two or three times to get the best deal. DO NOT PAY YOUR TRAFFIC TICKET ONLINE UNTIL YOU SPEAK TO AN ATTORNEY FREE (828)254-9505 Toll Free 1-866-276-1917 TRAFFIC TICKETS COST YOU MONEY! The two charts below are reprinted from the NC Safe Driver Incentive Program, and show just how much your rates can increase. Most drivers ticketed on the interstate highways are charged with offenses that fall into the 4 point category- for example, speeding 75 (or more) in a 65 (or less) zone. The points assessed translate directly to rate increases by the automobile insurance company. The chart below shows the percentage increase over your current rate, and how much the increase will be if your rate now is $300 per six month policy.